Chennai, March 23 : After impressing audiences on the silver screen, actor-filmmaker Kamal Haasan is all set to feature soon on TV show "Neengalum Vellalam Oru Kodi" (NVOK), the Tamil version of "Kaun Banega Crorepati". He is likely to shoot for the episode Saturday here in AVM Studios. 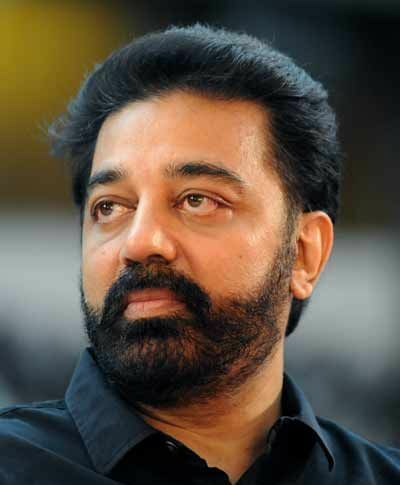 "Kamal Haasan to participate in Vijay TV's super hit program NVOK. He is on his way to the sets," Kamal's agent posted on his Twitter page. Actor Prakash Raj is hosting the current season of the show. In the last season of NVOK, which was being hosted by actor Suriya, Kamal made his presence felt through a phone call. His daughter, Shruti Haasan, who participated in the show, sought her father's help over a question.